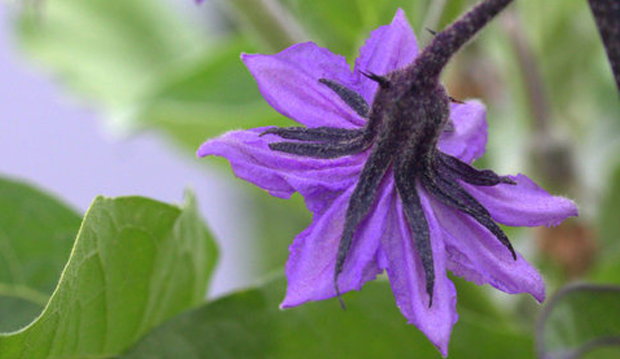 I have always been drawn to the simple beauty of eggplants from the nodding flower buds that appear at the base of the leaves to the star-shaped papery blossoms eventually followed by a peculiar shaped vegetable (technically a botanical fruit). 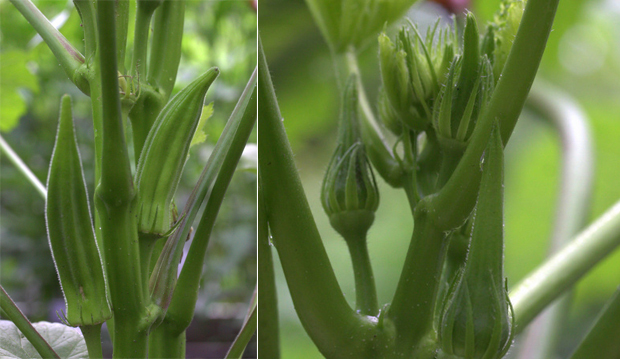 The three images above capture these stages for Chinese Eggplant (Solanum melongena). 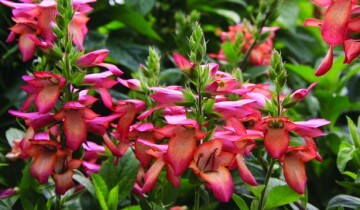 Personally I think the blossoms of Chinese eggplant are particularly beautiful when viewed from above. Watching the eggplants grow in the garden this season has been a real highlight. Another very special moment for me was planting a few of the crops with some of the children that come through our educational program. These young, eager and adorable young learners never cease to remind me of the importance of hands-on learning. I feel very fortunate to be a part of the TBG team whereby the educational classes and living gardens continue to be a source of stimulation and inspiration for developing minds! See for yourself by watching this brief video, why the need for actual gardens as learning spaces is so vital. 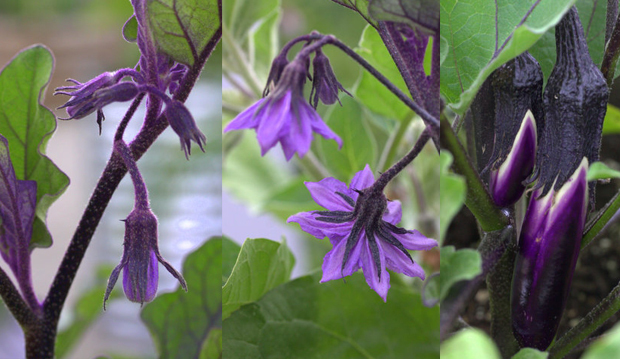 Chinese Eggplant (Solanum melongena),most common form in Japan and China. The seven crops are part of this year’s World Crops Learning Garden. This program provides an opportunity to expose our many visitors to the possibility of growing this select group of world crops in their own gardens. 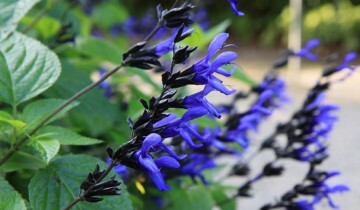 Just as our city is rich and diverse in people and their cultures from around the globe, so too are the edible plants we can grow in our home gardens. 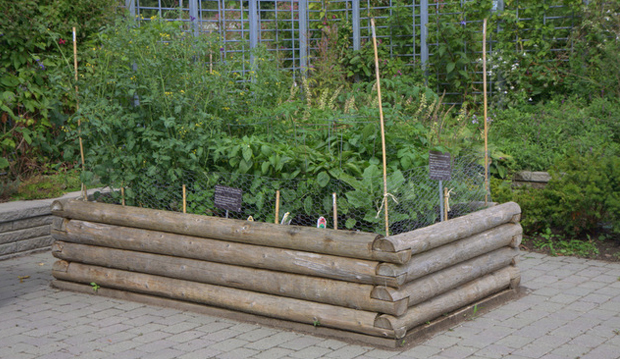 A series of raised beds in the Demonstration Garden serves as a reminder that one can grow fresh produce even with little or no space to plant directly into the ground. The World Crops Learning Garden is an excellent example of how through partnerships we all can grow. Chinese eggplant is one of several crops developing beautifully in the steel raised beds found in the Demonstration Courtyard. 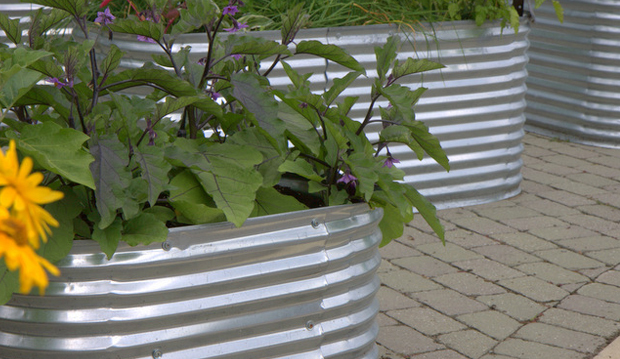 These raised beds are available through www.conqueststeel.com/products-2/garden-beds. Produce harvested from the three gardens will be donated to the North York Harvest Food Bank. The World Food Crop Learning Gardens have been made possible through the generous support of the Greenbelt (www.greenbelt.ca) For more information about this incredible program please watch the video below.